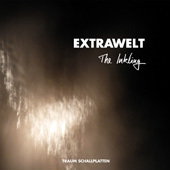 Extrawelt are back with a brand new 3-track EP for Traum where they have released classics like "8000", "Doch Doch" or their legendary remix for Minilogue‘s Leopard. The opener of the vinyl is "Breedle" and after seconds it‘s clear who is turning the knobs here, at the same time underlining how consistent and versatile Extrawelt is developing their very own style. Smart rhythms, fat basslines and fine, sequential melodies are leveling the path for a beautifully washed out rhodes, manipulated vocals and strings in an FX box. The interplay between melancholy and power, deepness and euphoria is the engine of the track. 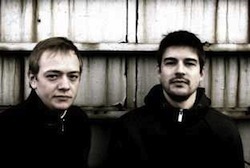 Simmering energy collected along the way, Extrawelt manage to disperse an undercurrent of tension throughout the track. "Breedle" alternates between sequential toughness and emotional uplifting string programming making it a wonderful sensual piece of music! Ace! "In Shape To Escape" stands in high contrast to "Breedle" and is a funky-electro-monster with a twisted bassline, wow! The track keeps a nice pace and plunges into breathtaking breaks with electronic noodeling all present. Its compactness and dignity is simply superior. This is high voltage music at its best... keep this in your bag, it can save your life! "The Inkling" is made to be different... a bit of a daring sound punisher… a pure on/off affair not for the weak. Full impact of dry signals and the space in-between. When we talked to Dominik Eulberg about it we were of the same opinion, played at the right time, this pounding track will freak out people in a big way! We don‘t expect that everyone will dig the track, but for the ones who know, this is a must have manifest of psychoacoustics."